What personality traits do diagnostic medical sonographers have? Diagnostic medical sonographers are investigative people who rate highly in social responsibility. 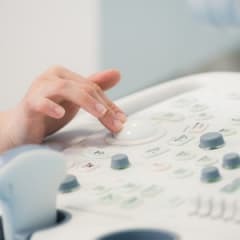 Diagnostic medical sonographers tend to be predominantly investigative individuals, which means that they are quite inquisitive and curious people that often like to spend time alone with their thoughts. They also tend to be social, meaning that they thrive in situations where they can interact with, persuade, or help people. If you are one or both of these archetypes, you may be well suited to be a diagnostic medical sonographer. However, if you are artistic, this is probably not a good career for you. Diagnostic medical sonographers score highly on social responsibility, indicating that they desire fair outcomes and have a general concern for others. They also tend to be high on the measure of agreeableness, meaning that they are very sensitive to the needs of others and value harmony within a group.